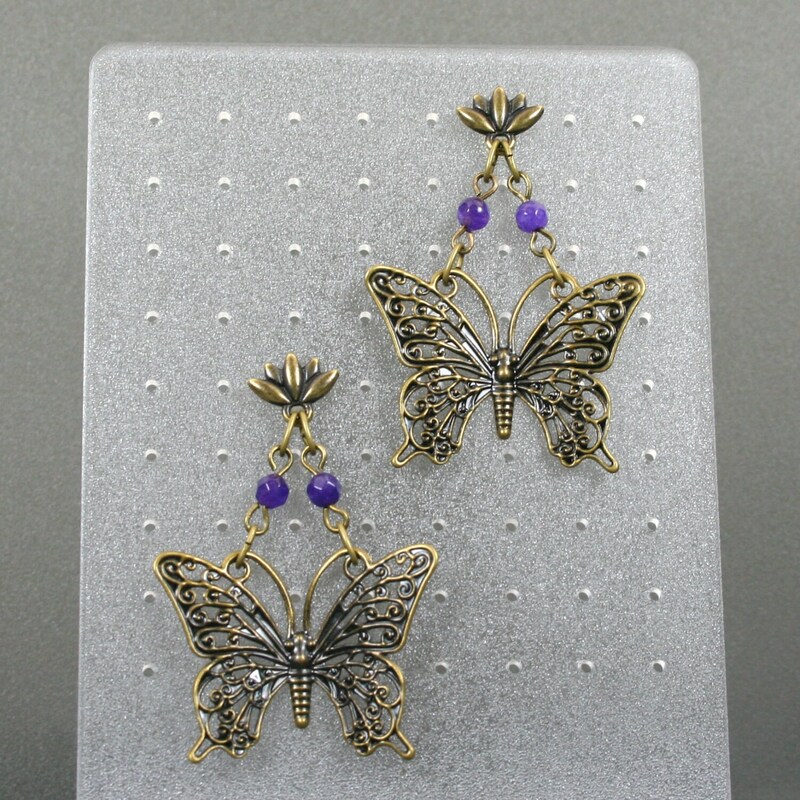 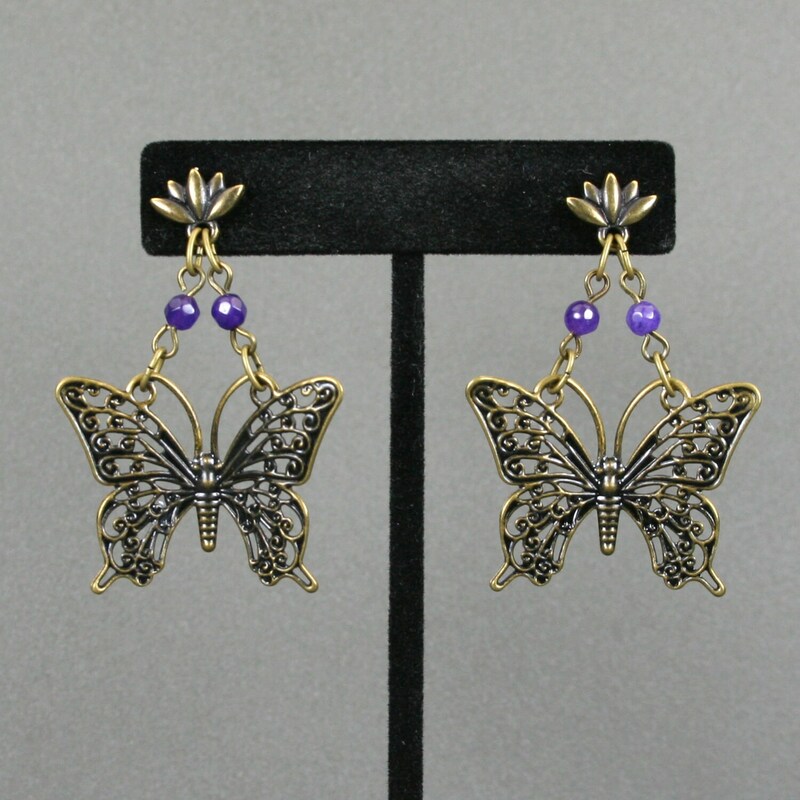 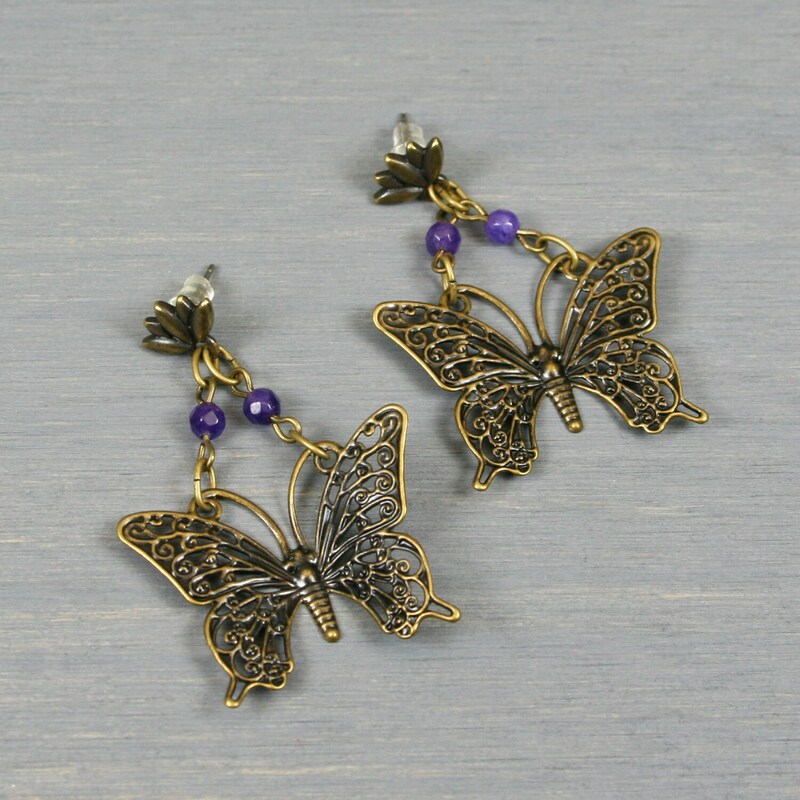 These earrings feature an antiqued brass butterfly dangling beneath antiqued brass lotus flower ear studs with a short length of antiqued brass chain embellished with faceted 4 mm amethyst beads. 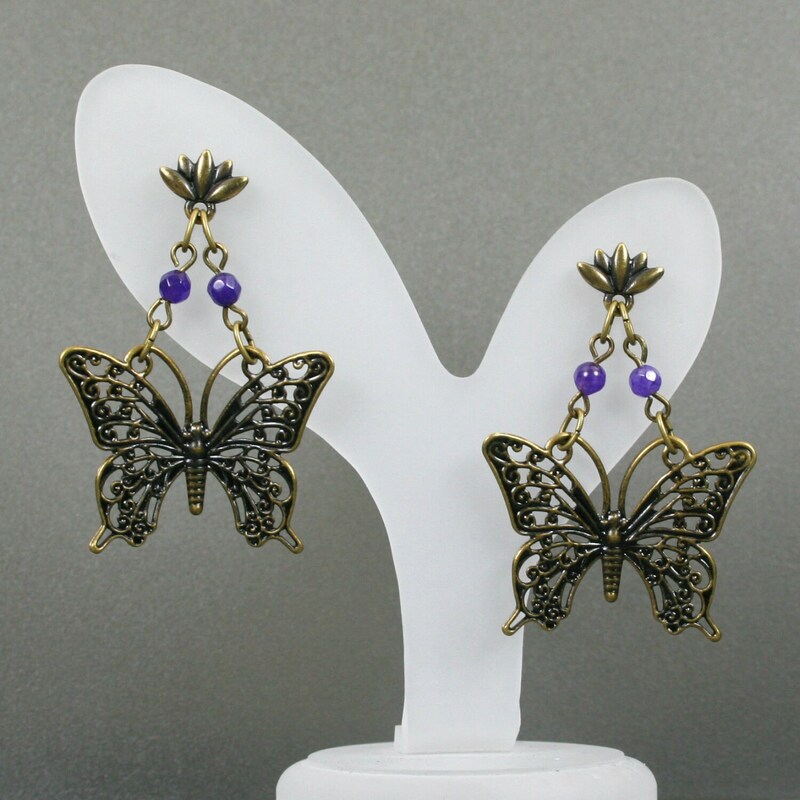 They come with clear rubber backings on the ear studs, and the bottom of the butterflies hang approximately 47 mm below the ear stud. 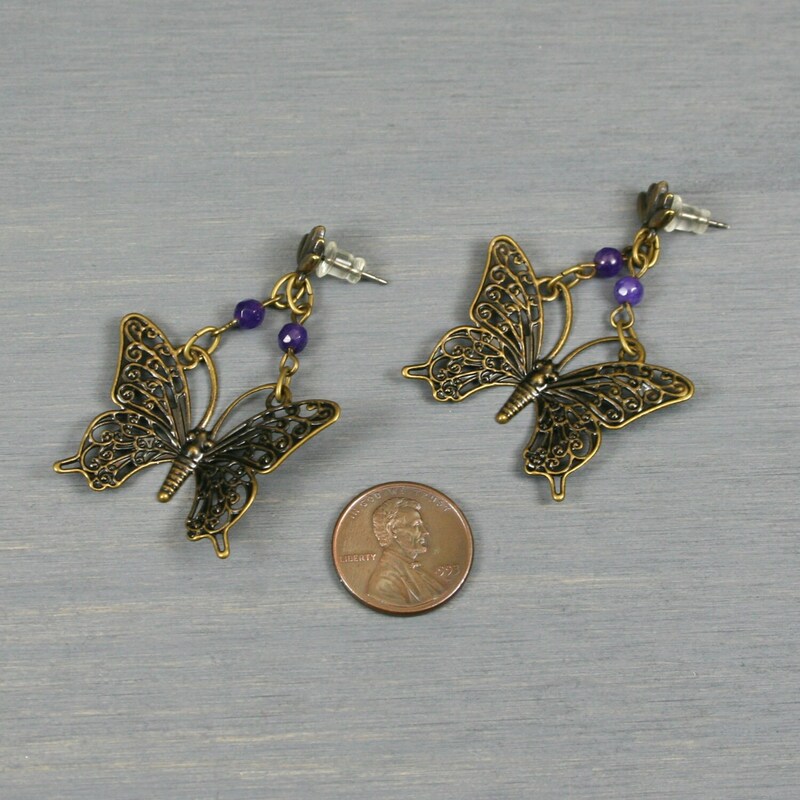 The butterflies themselves are slightly folded toward the front and are 26 mm high and 35 mm wide.